Cleanliness is one of the vital tasks that we performs every day, cleanliness is not only necessary for hygiene but it also affects overall mood of a person. But cleanliness is a challenging task when it comes to house cleaning especially bathroom cleansing. There are various products available in market for bathroom cleansing; some they also have some side effects because of chemical products used in it. You can simply contact NYC cleaning services they have the best service. Some products can compromise on cleaning and germ removal. Others can permanently damage your ceramics or can leave ugly spots in your bathroom floor, ceiling, tub and wash basins. Experts work continuously to give solutions to us that are cost-effective and reliable. Are you going to choose a product for your bathroom cleansing just by watching fancy ad? Definitely you will say “No!”. In this article I am going to mention some products for bath room cleansing recommended by experts. 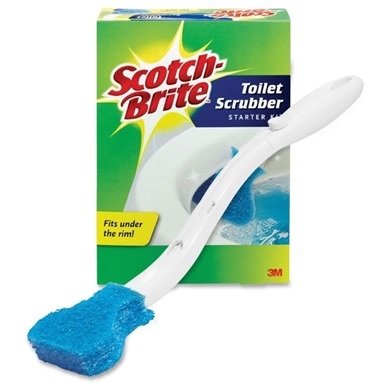 This product has a powerful cleaner to scrub your toilet. Its disposable cleaning sponge can perfectly cleanse the outer rim and the inside of the bowl and leaves no escape for germ to stick to your toilet. You can refill it for clean multiple times. Ecover is an eco-friendly toilet cleaner. Ecover is gel type toilet cleanser which don’t flow easily, it stick to bowl and give perfect cleaning and shiny toilet bowl. This is a plant-based product which makes it safe for all septic system, and also safe for marine life. It deodorize, remove stains and clean your bath room perfectly using its eco-friendly formula. 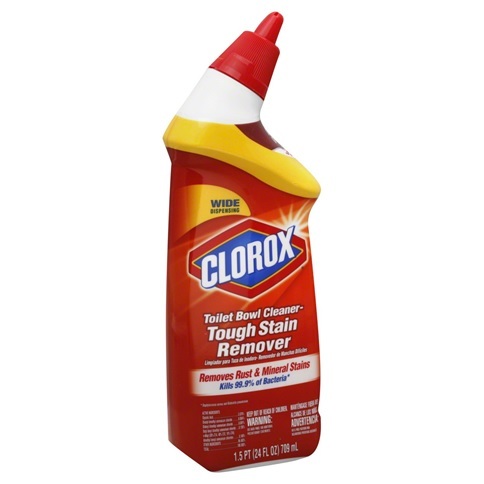 Clorox Toilet Bowl Cleaner has become a traditional name in toilet cleaning. It is very cost effective and easy to find. It has bleaching properties so it need extra care, but it cleans very fast, simply squirt the gel around the rim of your toilet and it will reach to bowl. After waiting several minutes, scrub your toilet bowl with a toilet brush and will removes stains, dirt, and unsanitary things in a normal flush. Seventh Generation Natural Mint Toilet Bowl Cleaner is another big product for the toilet cleaning. Avoid caustic chemicals and get real results using this mint green and eco-friendly power cleaner. It cleanses perfectly leaving mint scent in your bathroom. It has a long handle and a box of 6 disposable cleaning heads. Cleaning heads are filled with a cleaning solution which releases in the water. You can rub it anywhere you want and it will scrub away the filth and other unsanitary things. You have to dispose of the cleaning head in the trash after use. This product can save time while preventing the use of harsh smelling chemicals. Lysol Power Toilet Bowl Cleaner is easy to use cleaner can remove the germs and tough grime from your toilet. It is easily available in market at effective cost. With a little effort it can remove even toughest toilet stains. That is all for today stay connected and keep visiting our forum for more interesting discussions.